"Animal sentience" redirects here. For the journal, see Animal Sentience (journal). According to the Cambridge Declaration on Consciousness, "near human-like levels of consciousness" have been observed in the grey parrot. Animal consciousness, or animal awareness, is the quality or state of self-awareness within an animal, or of being aware of an external object or something within itself. In humans, consciousness has been defined as: sentience, awareness, subjectivity, qualia, the ability to experience or to feel, wakefulness, having a sense of self, and the executive control system of the mind. Despite the difficulty in definition, many philosophers believe there is a broadly shared underlying intuition about what consciousness is. The topic of animal consciousness is beset with a number of difficulties. It poses the problem of other minds in an especially severe form because animals, lacking the ability to use human language, cannot tell us about their experiences. Also, it is difficult to reason objectively about the question, because a denial that an animal is conscious is often taken to imply that it does not feel, its life has no value, and that harming it is not morally wrong. 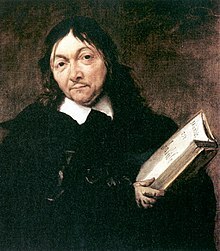 The 17th-century French philosopher René Descartes, for example, has sometimes been blamed for mistreatment of animals because he argued that only humans are conscious. Philosophers who consider subjective experience the essence of consciousness also generally believe, as a correlate, that the existence and nature of animal consciousness can never rigorously be known. The American philosopher Thomas Nagel spelled out this point of view in an influential essay titled What Is it Like to Be a Bat?. He said that an organism is conscious "if and only if there is something that it is like to be that organism—something it is like for the organism"; and he argued that no matter how much we know about an animal's brain and behavior, we can never really put ourselves into the mind of the animal and experience its world in the way it does itself. Other thinkers, such as the cognitive scientist Douglas Hofstadter, dismiss this argument as incoherent. Several psychologists and ethologists have argued for the existence of animal consciousness by describing a range of behaviors that appear to show animals holding beliefs about things they cannot directly perceive—Donald Griffin's 2001 book Animal Minds reviews a substantial portion of the evidence. Animal consciousness has been actively researched for over one hundred years. In 1927 the American functional psychologist Harvey Carr argued that any valid measure or understanding of awareness in animals depends on "an accurate and complete knowledge of its essential conditions in man". A more recent review concluded in 1985 that "the best approach is to use experiment (especially psychophysics) and observation to trace the dawning and ontogeny of self-consciousness, perception, communication, intention, beliefs, and reflection in normal human fetuses, infants, and children". In 2012, a group of neuroscientists signed the Cambridge Declaration on Consciousness, which "unequivocally" asserted that "humans are not unique in possessing the neurological substrates that generate consciousness. Non-human animals, including all mammals and birds, and many other creatures, including octopuses, also possess these neural substrates." The mind–body problem in philosophy examines the relationship between mind and matter, and in particular the relationship between consciousness and the brain. A variety of approaches have been proposed. Most are either dualist or monist. Dualism maintains a rigid distinction between the realms of mind and matter. Monism maintains that there is only one kind of stuff, and that mind and matter are both aspects of it. The problem was addressed by pre-Aristotelian philosophers, and was famously addressed by René Descartes in the 17th century, resulting in Cartesian dualism. Descartes believed that humans only, and not other animals have this non-physical mind. The rejection of the mind–body dichotomy is found in French Structuralism, and is a position that generally characterized post-war French philosophy. The absence of an empirically identifiable meeting point between the non-physical mind and its physical extension has proven problematic to dualism and many modern philosophers of mind maintain that the mind is not something separate from the body. These approaches have been particularly influential in the sciences, particularly in the fields of sociobiology, computer science, evolutionary psychology, and the neurosciences. Epiphenomenalism is the theory in philosophy of mind that mental phenomena are caused by physical processes in the brain or that both are effects of a common cause, as opposed to mental phenomena driving the physical mechanics of the brain. The impression that thoughts, feelings, or sensations cause physical effects, is therefore to be understood as illusory to some extent. For example, it is not the feeling of fear that produces an increase in heart beat, both are symptomatic of a common physiological origin, possibly in response to a legitimate external threat. The history of epiphenomenalism goes back to the post-Cartesian attempt to solve the riddle of Cartesian dualism, i.e., of how mind and body could interact. La Mettrie, Leibniz and Spinoza all in their own way began this way of thinking. The idea that even if the animal were conscious nothing would be added to the production of behavior, even in animals of the human type, was first voiced by La Mettrie (1745), and then by Cabanis (1802), and was further explicated by Hodgson (1870) and Huxley (1874). Huxley (1874) likened mental phenomena to the whistle on a steam locomotive. However, epiphenomenalism flourished primarily as it found a niche among methodological or scientific behaviorism. In the early 1900s scientific behaviorists such as Ivan Pavlov, John B. Watson, and B. F. Skinner began the attempt to uncover laws describing the relationship between stimuli and responses, without reference to inner mental phenomena. Instead of adopting a form of eliminativism or mental fictionalism, positions that deny that inner mental phenomena exist, a behaviorist was able to adopt epiphenomenalism in order to allow for the existence of mind. However, by the 1960s, scientific behaviourism met substantial difficulties and eventually gave way to the cognitive revolution. Participants in that revolution, such as Jerry Fodor, reject epiphenomenalism and insist upon the efficacy of the mind. Fodor even speaks of "epiphobia"—fear that one is becoming an epiphenomenalist. Thomas Henry Huxley defends in an essay titled On the Hypothesis that Animals are Automata, and its History an epiphenomenalist theory of consciousness according to which consciousness is a causally inert effect of neural activity—"as the steam-whistle which accompanies the work of a locomotive engine is without influence upon its machinery". To this William James objects in his essay Are We Automata? by stating an evolutionary argument for mind-brain interaction implying that if the preservation and development of consciousness in the biological evolution is a result of natural selection, it is plausible that consciousness has not only been influenced by neural processes, but has had a survival value itself; and it could only have had this if it had been efficacious. Karl Popper develops in the book The Self and Its Brain a similar evolutionary argument. Bernard Rollin of Colorado State University, the principal author of two U.S. federal laws regulating pain relief for animals, writes that researchers remained unsure into the 1980s as to whether animals experience pain, and veterinarians trained in the U.S. before 1989 were simply taught to ignore animal pain. In his interactions with scientists and other veterinarians, Rollin was regularly asked to prove animals are conscious and provide scientifically acceptable grounds for claiming they feel pain. Academic reviews of the topic are equivocal, noting that the argument that animals have at least simple conscious thoughts and feelings has strong support, but some critics continue to question how reliably animal mental states can be determined. A refereed journal Animal Sentience launched in 2015 by the Institute of Science and Policy of The Humane Society of the United States is devoted to research on this and related topics. About forty meanings attributed to the term consciousness can be identified and categorized based on functions and experiences. The prospects for reaching any single, agreed-upon, theory-independent definition of consciousness appear remote. Consciousness is an elusive concept that presents many difficulties when attempts are made to define it. Its study has progressively become an interdisciplinary challenge for numerous researchers, including ethologists, neurologists, cognitive neuroscientists, philosophers, psychologists and psychiatrists. "We have no idea how consciousness emerges from the physical activity of the brain and we do not know whether consciousness can emerge from non-biological systems, such as computers... At this point the reader will expect to find a careful and precise definition of consciousness. You will be disappointed. Consciousness has not yet become a scientific term that can be defined in this way. Currently we all use the term consciousness in many different and often ambiguous ways. Precise definitions of different aspects of consciousness will emerge ... but to make precise definitions at this stage is premature." Consciousness is sometimes defined as the quality or state of being aware of an external object or something within oneself. It has been defined somewhat vaguely as: subjectivity, awareness, sentience, the ability to experience or to feel, wakefulness, having a sense of selfhood, and the executive control system of the mind. Despite the difficulty in definition, many philosophers believe that there is a broadly shared underlying intuition about what consciousness is. Max Velmans and Susan Schneider wrote in The Blackwell Companion to Consciousness: "Anything that we are aware of at a given moment forms part of our consciousness, making conscious experience at once the most familiar and most mysterious aspect of our lives." Awareness: the state or ability to perceive, to feel, or to be conscious of events, objects, or sensory patterns. In this level of consciousness, sense data can be confirmed by an observer without necessarily implying understanding. More broadly, it is the state or quality of being aware of something. In biological psychology, awareness is defined as a human's or an animal's perception and cognitive reaction to a condition or event. Self-awareness: the capacity for introspection and the ability to reconcile oneself as an individual separate from the environment and other individuals. Self-consciousness: an acute sense of self-awareness. It is a preoccupation with oneself, as opposed to the philosophical state of self-awareness, which is the awareness that one exists as an individual being; although some writers use both terms interchangeably or synonymously. Sentience: the ability to be aware (feel, perceive, or be conscious) of one's surroundings or to have subjective experiences. Sentience is a minimalistic way of defining consciousness, which is otherwise commonly used to collectively describe sentience plus other characteristics of the mind. Sapience: often defined as wisdom, or the ability of an organism or entity to act with appropriate judgment, a mental faculty which is a component of intelligence or alternatively may be considered an additional faculty, apart from intelligence, with its own properties. Sentience (the ability to feel, perceive, or to experience subjectivity) is not the same as self-awareness (being aware of oneself as an individual). 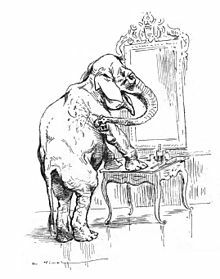 The mirror test is sometimes considered to be an operational test for self-awareness, and the handful of animals that have passed it are often considered to be self-aware. It remains debatable whether recognition of one's mirror image can be properly construed to imply full self-awareness, particularly given that robots are being constructed which appear to pass the test. Much has been learned in neuroscience about correlations between brain activity and subjective, conscious experiences, and many suggest that neuroscience will ultimately explain consciousness; "...consciousness is a biological process that will eventually be explained in terms of molecular signaling pathways used by interacting populations of nerve cells...". However, this view has been criticized because consciousness has yet to be shown to be a process, and the so-called "hard problem" of relating consciousness directly to brain activity remains elusive. Since Descartes's proposal of dualism, it became a general consensus that the mind had become a matter of philosophy and that science was not able to penetrate the issue of consciousness - that consciousness was outside of space and time. However, over the last 20 years, many scholars have begun to move toward a science of consciousness. Antonio Damasio and Gerald Edelman are two neuroscientists who have led the move to neural correlates of the self and of consciousness. Damasio has demonstrated that emotions and their biological foundation play a critical role in high level cognition, and Edelman has created a framework for analyzing consciousness through a scientific outlook. The current problem consciousness researchers face involves explaining how and why consciousness arises from neural computation. In his research on this problem, Edelman has developed a theory of consciousness, in which he has coined the terms primary consciousness and secondary consciousness. Eugene Linden, author of The Parrot's Lament suggests there are many examples of animal behavior and intelligence that surpass what people would suppose to be the boundary of animal consciousness. Linden contends that in many of these documented examples, a variety of animal species exhibit behavior that can only be attributed to emotion, and to a level of consciousness that we would normally ascribe only to our own species. Consciousness requires a certain kind of informational organization that does not seem to be 'hard-wired' in humans, but is instilled by human culture. Moreover, consciousness is not a black-or-white, all-or-nothing type of phenomenon, as is often assumed. The differences between humans and other species are so great that speculations about animal consciousness seem ungrounded. Many authors simply assume that an animal like a bat has a point of view, but there seems to be little interest in exploring the details involved. Consciousness in mammals (including humans) is an aspect of the mind generally thought to comprise qualities such as subjectivity, sentience, and the ability to perceive the relationship between oneself and one's environment. It is a subject of much research in philosophy of mind, psychology, neuroscience, and cognitive science. Some philosophers divide consciousness into phenomenal consciousness, which is subjective experience itself, and access consciousness, which refers to the global availability of information to processing systems in the brain. Phenomenal consciousness has many different experienced qualities, often referred to as qualia. Phenomenal consciousness is usually consciousness of something or about something, a property known as intentionality in philosophy of mind. In humans, there are three common methods of studying consciousness, i.e. verbal report, behavioural demonstrations, and neural correlation with conscious activity. Unfortunately these can only be generalized to non-human taxa with varying degrees of difficulty. Elephants can recognize themselves in a mirror. common chimpanzees, bonobos, orangutans and gorillas. Killer whales: Killer whales (Orcinus orca) and false killer whales (Pseudorca crassidens) may be able to recognize themselves in mirrors. Pigeons can pass the mirror test after training in the prerequisite behaviors. Until recently it was thought that self-recognition was absent from animals without a neocortex, and was restricted to mammals with large brains and well developed social cognition. However, in 2008 a study of self-recognition in corvids reported significant results for magpies. Mammals and birds inherited the same brain components from their last common ancestor nearly 300 million years ago, and have since independently evolved and formed significantly different brain types. The results of the mirror and mark tests showed that neocortex-less magpies are capable of understanding that a mirror image belongs to their own body. The findings show that magpies respond in the mirror and mark test in a manner similar to apes, dolphins and elephants. This is a remarkable capability that, although not fully concrete in its determination of self-recognition, is at least a prerequisite of self-recognition. This is not only of interest regarding the convergent evolution of social intelligence; it is also valuable for an understanding of the general principles that govern cognitive evolution and their underlying neural mechanisms. The magpies were chosen to study based on their empathy/lifestyle, a possible precursor for their ability of self-awareness. However even in the chimpanzee, the species most studied and with the most convincing findings, clear-cut evidence of self-recognition is not obtained in all individuals tested. Occurrence is about 75% in young adults and considerably less in young and old individuals. For monkeys, non-primate mammals, and in a number of bird species, exploration of the mirror and social displays were observed. However, hints at mirror-induced self-directed behavior have been obtained. The mirror test has attracted controversy among some researchers because it is entirely focused on vision, the primary sense in humans, while other species rely more heavily on other senses such as the olfactory sense in dogs. A study in 2015 showed that the “sniff test of self-recognition (STSR)” provides evidence of self-awareness in dogs. Another approach to determine whether a non-human animal is conscious derives from passive speech research with a macaw (see Arielle). Some researchers propose that by passively listening to an animal's voluntary speech, it is possible to learn about the thoughts of another creature and to determine that the speaker is conscious. This type of research was originally used to investigate a child's crib speech by Weir (1962) and in investigations of early speech in children by Greenfield and others (1976). Zipf's law might be able to be used to indicate if a given dataset of animal communication indicate an intelligent natural language. Some researchers have used this algorithm to study bottlenose dolphin language. Further arguments revolve around the ability of animals to feel pain or suffering. Suffering implies consciousness. If animals can be shown to suffer in a way similar or identical to humans, many of the arguments against human suffering could then, presumably, be extended to animals. Others have argued that pain can be demonstrated by adverse reactions to negative stimuli that are non-purposeful or even maladaptive. One such reaction is transmarginal inhibition, a phenomenon observed in humans and some animals akin to mental breakdown. Humans – who enslave, castrate, experiment on, and fillet other animals – have had an understandable penchant for pretending animals do not feel pain. A sharp distinction between humans and 'animals' is essential if we are to bend them to our will, make them work for us, wear them, eat them – without any disquieting tinges of guilt or regret. It is unseemly of us, who often behave so unfeelingly toward other animals, to contend that only humans can suffer. The behavior of other animals renders such pretensions specious. They are just too much like us. Cognitive bias in animals is a pattern of deviation in judgment, whereby inferences about other animals and situations may be drawn in an illogical fashion. Individuals create their own "subjective social reality" from their perception of the input. 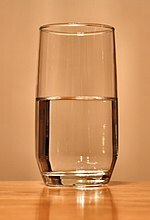 It refers to the question "Is the glass half empty or half full? ", used as an indicator of optimism or pessimism. Cognitive biases have been shown in a wide range of species including rats, dogs, rhesus macaques, sheep, chicks, starlings and honeybees. The neuroscientist Joseph LeDoux advocates avoiding terms derived from human subjective experience when discussing brain functions in animals. For example, the common practice of calling brain circuits that detect and respond to threats "fear circuits" implies that these circuits are responsible for feelings of fear. LeDoux argues that Pavlovian fear conditioning should be renamed Pavlovian threat conditioning to avoid the implication that "fear" is being acquired in rats or humans. Key to his theoretical change is the notion of survival functions mediated by survival circuits, the purpose of which is to keep organisms alive rather than to make emotions. For example, defensive survival circuits exist to detect and respond to threats. While all organisms can do this, only organisms that can be conscious of their own brain’s activities can feel fear. Fear is a conscious experience and occurs the same way as any other kind of conscious experience: via cortical circuits that allow attention to certain forms of brain activity. LeDoux argues the only differences between an emotional and non-emotion state of consciousness are the underlying neural ingredients that contribute to the state. Neuroscience is the scientific study of the nervous system. It is a highly active interdisciplinary science that collaborates with many other fields. The scope of neuroscience has broadened recently to include molecular, cellular, developmental, structural, functional, evolutionary, computational, and medical aspects of the nervous system. Theoretical studies of neural networks are being complemented with techniques for imaging sensory and motor tasks in the brain. According to a 2008 paper, neuroscience explanations of psychological phenomena currently have a "seductive allure", and "seem to generate more public interest" than explanations which do not contain neuroscientific information. They found that subjects who were not neuroscience experts "judged that explanations with logically irrelevant neuroscience information were more satisfying than explanations without. The neural correlates of consciousness constitute the minimal set of neuronal events and mechanisms sufficient for a specific conscious percept. Neuroscientists use empirical approaches to discover neural correlates of subjective phenomena. The set should be minimal because, if the brain is sufficient to give rise to any given conscious experience, the question is which of its components is necessary to produce it. Visual sense and representation was reviewed in 1998 by Francis Crick and Christof Koch. They concluded sensory neuroscience can be used as a bottom-up approach to studying consciousness, and suggested experiments to test various hypotheses in this research stream. The growing ability of neuroscientists to manipulate neurons using methods from molecular biology in combination with optical tools depends on the simultaneous development of appropriate behavioural assays and model organisms amenable to large-scale genomic analysis and manipulation. A combination of such fine-grained neuronal analysis in animals with ever more sensitive psychophysical and brain imaging techniques in humans, complemented by the development of a robust theoretical predictive framework, will hopefully lead to a rational understanding of consciousness. The neocortex is a part of the brain of mammals. It consists of the grey matter, or neuronal cell bodies and unmyelinated fibers, surrounding the deeper white matter (myelinated axons) in the cerebrum. The neocortex is smooth in rodents and other small mammals, whereas in primates and other larger mammals it has deep grooves and wrinkles. These folds increase the surface area of the neocortex considerably without taking up too much more volume. Also, neurons within the same wrinkle have more opportunity for connectivity, while neurons in different wrinkles have less opportunity for connectivity, leading to compartmentalization of the cortex. The neocortex is divided into frontal, parietal, occipital, and temporal lobes, which perform different functions. For example, the occipital lobe contains the primary visual cortex, and the temporal lobe contains the primary auditory cortex. Further subdivisions or areas of neocortex are responsible for more specific cognitive processes. The neocortex is the newest part of the cerebral cortex to evolve (hence the prefix "neo"); the other parts of the cerebral cortex are the paleocortex and archicortex, collectively known as the allocortex. In humans, 90% of the cerebral cortex is neocortex. Researchers have argued that consciousness in mammals arises in the neocortex, and therefore cannot arise in animals which lack a neocortex. For example, Rose argued in 2002 that the "fishes have nervous systems that mediate effective escape and avoidance responses to noxious stimuli, but, these responses must occur without a concurrent, human-like awareness of pain, suffering or distress, which depend on separately evolved neocortex." Recently that view has been challenged, and many researchers now believe that animal consciousness can arise from homologous subcortical brain networks. Attention is the cognitive process of selectively concentrating on one aspect of the environment while ignoring other things. Attention has also been referred to as the allocation of processing resources. Attention also has variations amongst cultures. Voluntary attention develops in specific cultural and institutional contexts through engagement in cultural activities with more competent community members. Most experiments show that one neural correlate of attention is enhanced firing. If a neuron has a certain response to a stimulus when the animal is not attending to the stimulus, then when the animal does attend to the stimulus, the neuron's response will be enhanced even if the physical characteristics of the stimulus remain the same. In many cases attention produces changes in the EEG. Many animals, including humans, produce gamma waves (40–60 Hz) when focusing attention on a particular object or activity. Extended consciousness is an animal's autobiographical self-perception. It is thought to arise in the brains of animals which have a substantial capacity for memory and reason. It does not necessarily require language. The perception of a historic and future self arises from a stream of information from the immediate environment and from neural structures related to memory. The concept was popularised by Antonio Damasio and is used in biological psychology. Extended consciousness is said to arise in structures in the human brain described as image spaces and dispositional spaces. Image spaces imply areas where sensory impressions of all types are processed, including the focused awareness of the core consciousness. Dispositional spaces include convergence zones, which are networks in the brain where memories are processed and recalled, and where knowledge is merged with immediate experience. Metacognition is defined as "cognition about cognition", or "knowing about knowing." It can take many forms; it includes knowledge about when and how to use particular strategies for learning or for problem solving. It has been suggested that metacognition in some animals provides evidence for cognitive self-awareness. There are generally two components of metacognition: knowledge about cognition, and regulation of cognition. Writings on metacognition can be traced back at least as far as De Anima and the Parva Naturalia of the Greek philosopher Aristotle. Metacognologists believe that the ability to consciously think about thinking is unique to sapient species and indeed is one of the definitions of sapience. There is evidence that rhesus monkeys and apes can make accurate judgments about the strengths of their memories of fact and monitor their own uncertainty, while attempts to demonstrate metacognition in birds have been inconclusive. A 2007 study provided some evidence for metacognition in rats, but further analysis suggested that they may have been following simple operant conditioning principles, or a behavioral economic model. Mirror neurons are neurons that fire both when an animal acts and when the animal observes the same action performed by another. Thus, the neuron "mirrors" the behavior of the other, as though the observer were itself acting. 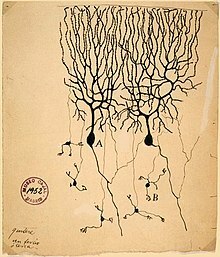 Such neurons have been directly observed in primate and other species including birds. The function of the mirror system is a subject of much speculation. Many researchers in cognitive neuroscience and cognitive psychology consider that this system provides the physiological mechanism for the perception action coupling (see the common coding theory). They argue that mirror neurons may be important for understanding the actions of other people, and for learning new skills by imitation. Some researchers also speculate that mirror systems may simulate observed actions, and thus contribute to theory of mind skills, while others relate mirror neurons to language abilities. Neuroscientists such as Marco Iacoboni (UCLA) have argued that mirror neuron systems in the human brain help us understand the actions and intentions of other people. In a study published in March 2005 Iacoboni and his colleagues reported that mirror neurons could discern if another person who was picking up a cup of tea planned to drink from it or clear it from the table. In addition, Iacoboni and a number of other researchers have argued that mirror neurons are the neural basis of the human capacity for emotions such as empathy. Vilayanur S. Ramachandran has speculated that mirror neurons may provide the neurological basis of self-awareness. Consciousness is likely an evolved adaptation since it meets George Williams' criteria of species universality, complexity, and functionality, and it is a trait that apparently increases fitness. Opinions are divided as to where in biological evolution consciousness emerged and about whether or not consciousness has survival value. It has been argued that consciousness emerged (i) exclusively with the first humans, (ii) exclusively with the first mammals, (iii) independently in mammals and birds, or (iv) with the first reptiles. Donald Griffin suggests in his book Animal Minds a gradual evolution of consciousness. Each of these scenarios raises the question of the possible survival value of consciousness. The concept of consciousness can refer to voluntary action, awareness, or wakefulness. However, even voluntary behaviour involves unconscious mechanisms. Many cognitive processes take place in the cognitive unconscious, unavailable to conscious awareness. Some behaviours are conscious when learned but then become unconscious, seemingly automatic. Learning, especially implicitly learning a skill, can take place outside of consciousness. For example, plenty of people know how to turn right when they ride a bike, but very few can accurately explain how they actually do so. Primary consciousness: is the ability, found in humans and some animals, to integrate observed events with memory to create an awareness of the present and immediate past of the world around them. This form of consciousness is also sometimes called "sensory consciousness". Put another way, primary consciousness is the presence of various subjective sensory contents of consciousness such as sensations, perceptions, and mental images. For example, primary consciousness includes a person's experience of the blueness of the ocean, a bird's song, and the feeling of pain. Thus, primary consciousness refers to being mentally aware of things in the world in the present without any sense of past and future; it is composed of mental images bound to a time around the measurable present. Secondary consciousness: is an individual's accessibility to their history and plans. The concept is also loosely and commonly associated with having awareness of one's own consciousness. The ability allows its possessors to go beyond the limits of the remembered present of primary consciousness. Primary consciousness can be defined as simple awareness that includes perception and emotion. As such, it is ascribed to most animals. By contrast, secondary consciousness depends on and includes such features as self-reflective awareness, abstract thinking, volition and metacognition. Edelman's theory focuses on two nervous system organizations: the brainstem and limbic systems on one side and the thalamus and cerebral cortex on the other side. The brain stem and limbic system take care of essential body functioning and survival, while the thalamocortical system receives signals from sensory receptors and sends out signals to voluntary muscles such as those of the arms and legs. The theory asserts that the connection of these two systems during evolution helped animals learn adaptive behaviors. Other scientists have argued against Edelman's theory, instead suggesting that primary consciousness might have emerged with the basic vegetative systems of the brain. That is, the evolutionary origin might have come from sensations and primal emotions arising from sensors and receptors, both internal and surface, signaling that the well-being of the creature was immediately threatened—for example, hunger for air, thirst, hunger, pain, and extreme temperature change. This is based on neurological data showing the thalamic, hippocampal, orbitofrontal, insula, and midbrain sites are the key to consciousness of thirst. These scientists also point out that the cortex might not be as important to primary consciousness as some neuroscientists have believed. Evidence of this lies in the fact that studies show that systematically disabling parts of the cortex in animals does not remove consciousness. Another study found that children born without a cortex are conscious. Instead of cortical mechanisms, these scientists emphasize brainstem mechanisms as essential to consciousness. Still, these scientists concede that higher order consciousness does involve the cortex and complex communication between different areas of the brain. While animals with primary consciousness have long-term memory, they lack explicit narrative, and, at best, can only deal with the immediate scene in the remembered present. While they still have an advantage over animals lacking such ability, evolution has brought forth a growing complexity in consciousness, particularly in mammals. Animals with this complexity are said to have secondary consciousness. Secondary consciousness is seen in animals with semantic capabilities, such as the four great apes. It is present in its richest form in the human species, which is unique in possessing complex language made up of syntax and semantics. In considering how the neural mechanisms underlying primary consciousness arose and were maintained during evolution, it is proposed that at some time around the divergence of reptiles into mammals and then into birds, the embryological development of large numbers of new reciprocal connections allowed rich re-entrant activity to take place between the more posterior brain systems carrying out perceptual categorization and the more frontally located systems responsible for value-category memory. The ability of an animal to relate a present complex scene to its own previous history of learning conferred an adaptive evolutionary advantage. At much later evolutionary epochs, further re-entrant circuits appeared that linked semantic and linguistic performance to categorical and conceptual memory systems. This development enabled the emergence of secondary consciousness. Ursula Voss of the Universität Bonn believes that the theory of protoconsciousness may serve as adequate explanation for self-recognition found in birds, as they would develop secondary consciousness during REM sleep. She added that many types of birds have very sophisticated language systems. Don Kuiken of the University of Alberta finds such research interesting as well as if we continue to study consciousness with animal models (with differing types of consciousness), we would be able to separate the different forms of reflectiveness found in today's world. For the advocates of the idea of a secondary consciousness, self-recognition serves as a critical component and a key defining measure. What is most interesting then, is the evolutionary appeal that arises with the concept of self-recognition. In non-human species and in children, the mirror test (see above) has been used as an indicator of self-awareness. In 2012, a group of neuroscientists attending a conference on "Consciousness in Human and non-Human Animals" at the University of Cambridge in the UK, signed The Cambridge Declaration on Consciousness (see box on the right). "The field of Consciousness research is rapidly evolving. Abundant new techniques and strategies for human and non-human animal research have been developed. Consequently, more data is becoming readily available, and this calls for a periodic reevaluation of previously held preconceptions in this field. Studies of non-human animals have shown that homologous brain circuits correlated with conscious experience and perception can be selectively facilitated and disrupted to assess whether they are in fact necessary for those experiences. Moreover, in humans, new non-invasive techniques are readily available to survey the correlates of consciousness." "The neural substrates of emotions do not appear to be confined to cortical structures. In fact, subcortical neural networks aroused during affective states in humans are also critically important for generating emotional behaviors in animals. Artificial arousal of the same brain regions generates corresponding behavior and feeling states in both humans and non-human animals. Wherever in the brain one evokes instinctual emotional behaviors in non-human animals, many of the ensuing behaviors are consistent with experienced feeling states, including those internal states that are rewarding and punishing. Deep brain stimulation of these systems in humans can also generate similar affective states. Systems associated with affect are concentrated in subcortical regions where neural homologies abound. Young human and non-human animals without neocortices retain these brain-mind functions. Furthermore, neural circuits supporting behavioral/electrophysiological states of attentiveness, sleep and decision making appear to have arisen in evolution as early as the invertebrate radiation, being evident in insects and cephalopod mollusks (e.g., octopus)." "Birds appear to offer, in their behavior, neurophysiology, and neuroanatomy a striking case of parallel evolution of consciousness. Evidence of near human-like levels of consciousness has been most dramatically observed in grey parrots. Mammalian and avian emotional networks and cognitive microcircuitries appear to be far more homologous than previously thought. 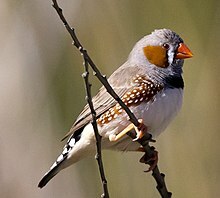 Moreover, certain species of birds have been found to exhibit neural sleep patterns similar to those of mammals, including REM sleep and, as was demonstrated in zebra finches, neurophysiological patterns previously thought to require a mammalian neocortex. Magpies in particular have been shown to exhibit striking similarities to humans, great apes, dolphins, and elephants in studies of mirror self-recognition." "In humans, the effect of certain hallucinogens appears to be associated with a disruption in cortical feedforward and feedback processing. Pharmacological interventions in non-human animals with compounds known to affect conscious behavior in humans can lead to similar perturbations in behavior in non-human animals. In humans, there is evidence to suggest that awareness is correlated with cortical activity, which does not exclude possible contributions by subcortical or early cortical processing, as in visual awareness. Evidence that human and non-human animal emotional feelings arise from homologous subcortical brain networks provide compelling evidence for evolutionarily shared primal affective qualia." A common image is the scala naturae, the ladder of nature on which animals of different species occupy successively higher rungs, with humans typically at the top. A more useful approach has been to recognize that different animals may have different kinds of cognitive processes, which are better understood in terms of the ways in which they are cognitively adapted to their different ecological niches, than by positing any kind of hierarchy. Dogs were previously listed as non-self-aware animals. Traditionally, self-consciousness was evaluated via the mirror test. But dogs and many other animals, are not (as) visually oriented. A 2015 study claims that the “sniff test of self-recognition” (STSR) provides significant evidence of self-awareness in dogs, and could play a crucial role in showing that this capacity is not a specific feature of only great apes, humans and a few other animals, but it depends on the way in which researchers try to verify it. According to the biologist Roberto Cazzolla Gatti (who published the study), "the innovative approach to test the self-awareness with a smell test highlights the need to shift the paradigm of the anthropocentric idea of consciousness to a species-specific perspective". This study has been confirmed by another study. Research with captive grey parrots, especially Irene Pepperberg's work with an individual named Alex, has demonstrated they possess the ability to associate simple human words with meanings, and to intelligently apply the abstract concepts of shape, colour, number, zero-sense, etc. According to Pepperberg and other scientists, they perform many cognitive tasks at the level of dolphins, chimpanzees, and even human toddlers. Another notable African grey is N'kisi, which in 2004 was said to have a vocabulary of over 950 words which she used in creative ways. For example, when Jane Goodall visited N'kisi in his New York home, he greeted her with "Got a chimp?" because he had seen pictures of her with chimpanzees in Africa. In 2011, research led by Dalila Bovet of Paris West University Nanterre La Défense, demonstrated grey parrots were able to coordinate and collaborate with each other to an extent. They were able to solve problems such as two birds having to pull strings at the same time to obtain food. In another example, one bird stood on a perch to release a food-laden tray, while the other pulled the tray out from the test apparatus. Both would then feed. The birds were observed waiting for their partners to perform the necessary actions so their behaviour could be synchronized. The parrots appeared to express individual preferences as to which of the other test birds they would work with. It was recently thought that self-recognition was restricted to mammals with large brains and highly evolved social cognition, but absent from animals without a neocortex. However, in 2008, an investigation of self-recognition in corvids was conducted revealing the ability of self-recognition in the magpie. Mammals and birds inherited the same brain components from their last common ancestor nearly 300 million years ago, and have since independently evolved and formed significantly different brain types. The results of the mirror test showed that although magpies do not have a neocortex, they are capable of understanding that a mirror image belongs to their own body. The findings show that magpies respond in the mirror test in a manner similar to apes, dolphins, killer whales, pigs and elephants. This is a remarkable capability that, although not fully concrete in its determination of self-recognition, is at least a prerequisite of self-recognition. This is not only of interest regarding the convergent evolution of social intelligence, it is also valuable for an understanding of the general principles that govern cognitive evolution and their underlying neural mechanisms. The magpies were chosen to study based on their empathy/lifestyle, a possible precursor for their ability of self-awareness. Octopuses are highly intelligent, possibly more so than any other order of invertebrates. The level of their intelligence and learning capability are debated, but maze and problem-solving studies show they have both short- and long-term memory. Octopus have a highly complex nervous system, only part of which is localized in their brain. Two-thirds of an octopus' neurons are found in the nerve cords of their arms. Octopus arms show a variety of complex reflex actions that persist even when they have no input from the brain. Unlike vertebrates, the complex motor skills of octopuses are not organized in their brain using an internal somatotopic map of their body, instead using a non-somatotopic system unique to large-brained invertebrates. Some octopuses, such as the mimic octopus, move their arms in ways that emulate the shape and movements of other sea creatures. In laboratory studies, octopuses can easily be trained to distinguish between different shapes and patterns. They reportedly use observational learning, although the validity of these findings is contested. Octopuses have also been observed to play: repeatedly releasing bottles or toys into a circular current in their aquariums and then catching them. Octopuses often escape from their aquarium and sometimes enter others. They have boarded fishing boats and opened holds to eat crabs. At least four specimens of the veined octopus (Amphioctopus marginatus) have been witnessed retrieving discarded coconut shells, manipulating them, and then reassembling them to use as shelter. See also: the categories Ethologists and Consciousness researchers and theorists. ^ a b c d e f g h i The Cambridge Declaration on Consciousness (Archive) 7 July 2012. Written by Philip Low and edited by Jaak Panksepp, Diana Reiss, David Edelman, Bruno Van Swinderen, Philip Low and Christof Koch. University of Cambridge. ^ "consciousness". Merriam-Webster. Retrieved 22 April 2014. ^ a b Robert van Gulick (2004). "Consciousness". Stanford Encyclopedia of Philosophy. ^ a b Farthing G (1992). The Psychology of Consciousness. Prentice Hall. ISBN 978-0-13-728668-3. ^ a b John Searle (2005). "Consciousness". In Honderich T (ed.). The Oxford companion to philosophy. Oxford University Press. ISBN 978-0-19-926479-7. ^ Colin Allen. Edward N. Zalta (ed.). "Animal consciousness". Stanford Encyclopedia of Philosophy (Summer 2011 Edition). ^ Peter Carruthers (1999). "Sympathy and subjectivity". Australasian Journal of Philosophy. 77 (4): 465–482. doi:10.1080/00048409912349231. ^ Douglas Hofstadter (1981). "Reflections on What Is It Like to Be a Bat?". In Douglas Hofstadter; Daniel Dennett (eds.). The Mind's I. Basic Books. pp. 403–414. ISBN 978-0-7108-0352-8. ^ a b Burghardt, Gordon M (1985). "Animal awareness: Current perceptions and historical perspective" (PDF). American Psychologist. 40 (8): 905–919. doi:10.1037/0003-066X.40.8.905. Archived from the original (PDF) on 16 September 2012. ^ Carr, H (1927). "The interpretation of the animal mind". Psychological Review. 34 (2): 87–106 . doi:10.1037/h0072244. ^ Andrews, K. (2014). The Animal Mind: An Introduction to the Philosophy of Animal Cognition. Taylor & Francis. p. 51. ISBN 978-1-317-67676-8. ^ Robert M. Young (1996). "The mind-body problem". In RC Olby; GN Cantor; JR Christie; MJS Hodges (eds.). Companion to the History of Modern Science (Paperback reprint of Routledge 1990 ed.). Taylor and Francis. pp. 702–11. ISBN 978-0415145787. ^ Robinson, Howard (3 November 2011). Edward N. Zalta (ed.). "Dualism". The Stanford Encyclopedia of Philosophy (Winter 2011 Edition). ^ Kim, Jaegwan (1995). "Emergent properties". In Honderich, Ted (ed.). Problems in the Philosophy of Mind. Oxford Companion to Philosophy. Oxford: Oxford University Press. p. 240. ISBN 9780198661320. ^ Russell, S.; Norvig, P. (2010). Artificial Intelligence: A Modern Approach (3rd ed.). Prentice Hall. ISBN 978-0136042594. ^ Internet Encyclopedia of Philosophy. "Epiphenomenalism". Retrieved 27 December 2016. ^ T. H. Huxley (1874). "On the hypothesis that animals are automata, and its history". The Fortnightly Review. 16 (253): 555–580. Bibcode:1874Natur..10..362.. doi:10.1038/010362a0. ^ W. James (1879). "Are we automata?". Mind. 4 (13): 1–22. doi:10.1093/mind/os-4.13.1. ^ B. I. B. Lindahl (1997). "Consciousness and biological evolution". Journal of Theoretical Biology. 187 (4): 613–629. doi:10.1006/jtbi.1996.0394. PMID 9299304. ^ Karl R. Popper; John C. Eccles (1977). The Self and Its Brain. Springer International. ISBN 978-0-387-08307-0. ^ a b Rollin, Bernard. The Unheeded Cry: Animal Consciousness, Animal Pain, and Science. New York: Oxford University Press, 1989, pp. xii, 117-118, cited in Carbone 2004, p. 150. ^ Griffin, DR; Speck, GB (2004). "New evidence of animal consciousness" (PDF). Animal Cognition. 7 (1): 5–18. doi:10.1007/s10071-003-0203-x. PMID 14658059. Archived from the original (PDF) on 21 January 2013. Retrieved 29 November 2013. ^ Allen, C (1998). "Assessing animal cognition: ethological and philosophical perspectives" (PDF). J. Anim. Sci. 76 (1): 42–7. doi:10.2527/1998.76142x. PMID 9464883. ^ Vimal, RLP; Sansthana, DA (2010). "On the Quest of Defining Consciousness" (PDF). Mind and Matter. 8 (1): 93–121. ^ Hirstein, W (2013). "Conscious states: Where are they in the brain and what are their necessary ingredients?"". Mens Sana Monographs. 11 (1): 230–8. doi:10.4103/0973-1229.109343. PMC 3653223. PMID 23678244. ^ Dulany, D. E. (2014). "What Explains Consciousness? Or... What Consciousness Explains?"". Mens Sana Monographs. 12 (1): 11–34. doi:10.4103/0973-1229.130283. PMC 4037891. PMID 24891796. ^ De Sousa, Avinash (2013). "Towards an integrative theory of consciousness: Part 1 (Neurobiological and cognitive models)"". Mens Sana Monographs. 11 (1): 100–50. doi:10.4103/0973-1229.109335. PMC 3653219. PMID 23678241. ^ Pereira Jr, A (2013). "'A Commentary On De Sousa's "Towards An Integrative Theory Of Consciousness"'". Mens Sana Monographs. 11 (1): 210–29. doi:10.4103/0973-1229.104495. PMC 3653222. PMID 23678243. ^ Richard Dawkins, The Selfish Gene. ^ "consciousness". Merriam-Webster. Retrieved 4 June 2012. ^ Susan Schneider & Max Velmans (2008). "Introduction". In Max Velmans & Susan Schneider (eds.). The Blackwell Companion to Consciousness. Wiley. ISBN 978-0-470-75145-9. ^ Gallup Jr GG; Anderson JR; Shillito DJ (2002). "The mirror test" (PDF). In Bekoff M; Allen C; Burghardt GM (eds.). The cognitive animal: Empirical and Theoretical perspectives on animal cognition. University of Chicago Press. pp. 325–333. Archived from the original (PDF) on 6 October 2014. ^ Haikonen POA (2007) "Reflections of consciousness: The mirror test" Proceedings of the 2007 AAAI Fall Symposium on Consciousness, pp. 67–71. ^ Asendorpf, J. B.; Warkentin, V.; Baudonniere, P.-M. (1996). "Self-Awareness and Other Awareness II: Mirror Self-Recognition, Social Contingency Awareness, and Synchronic Imitation". Developmental Psychology. 32 (2): 313–321. doi:10.1037/0012-1649.32.2.313. ^ The World First Self-Aware Robot and the Success of Mirror Image Cognition Archived 3 February 2009 at the Wayback Machine (Lecture at the Karlsruhe University and the Munich University, Germany), 8 November 2006. ^ Moreno, Raúl Arrabales (8 January 2008). "Can a robot pass the mirror test?". Conscious Robots. Archived from the original on 5 January 2013. ^ Damasio, A. (1999). The Feeling of What Happens: Body, Emotion and the Making of Consciousness. Harcourt Brace, 1999. ^ Damasio, A. (2003). Feelings of emotion and the self. In J. LeDoux, J. Debiec & H. Moss (Eds. ), Self: from Soul to Brain (Vol. 1001, pp. 253-261). New York: New York Acad Sciences. ^ Chalmers D J, Facing up to the problem of consciousness, J Cons Stud, 2 (1995) 200. ^ Chalmers D J, The conscious mind: In search of a fundamental theory (Oxford University Press, New York) 1996. ^ a b c d Edelman, G. M. (2003). "Naturalizing consciousness: a theoretical framework". Proc. Natl. Acad. Sci. U.S.A. 100 (9): 5520–5524. Bibcode:2003PNAS..100.5520E. doi:10.1073/pnas.0931349100. PMC 154377. PMID 12702758. ^ Linden, Eugene (2000). The parrot's lament: and other true tales of animal intrigue, intelligence, and ingenuity. Thorndike, Me. : G.K. Hall. ISBN 978-0-7838-9031-9. ^ a b Block, Ned (1995). "On a confusion about a function of consciousness" (PDF). The Behavioral and Brain Sciences. 18 (2): 227–287. CiteSeerX 10.1.1.207.6880. doi:10.1017/s0140525x00038188. ^ Barron, A.B. ; Klein, C. (2016). "What insects can tell us about the origins of consciousness". Proceedings of the National Academy of Sciences. 113 (18): 4900–4908. Bibcode:2016PNAS..113.4900B. doi:10.1073/pnas.1520084113. PMC 4983823. PMID 27091981. ^ a b Plotnik, JM; de Waal, FBM; Reiss, D (2006). "Self-recognition in an Asian elephant". Proceedings of the National Academy of Sciences. 103 (45): 17053–17057. Bibcode:2006PNAS..10317053P. doi:10.1073/pnas.0608062103. PMC 1636577. PMID 17075063. ^ a b c d Prior, H; Schwarz, A; Gunturkun, O (2008). "Mirror-induced behavior in the magpie (Pica pica): Evidence of self-recognition". PLOS Biology. 6 (8): 1642–1650. doi:10.1371/journal.pbio.0060202. PMC 2517622. PMID 18715117. ^ Reiss, D.; Marino, L. (2001). "Mirror self-recognition in the bottlenose dolphin: A case of cognitive convergence". Proceedings of the National Academy of Sciences. 98 (10): 5937–5942. Bibcode:2001PNAS...98.5937R. doi:10.1073/pnas.101086398. PMC 33317. PMID 11331768. ^ Prior, Helmut; Schwarz, A; Güntürkün, O; De Waal, Frans (2008). De Waal, Frans (ed.). "Mirror-Induced Behavior in the Magpie (Pica pica): Evidence of Self-Recognition" (PDF). PLoS Biology. 6 (8): e202. doi:10.1371/journal.pbio.0060202. PMC 2517622. PMID 18715117. Archived from the original (PDF) on 19 November 2008. Retrieved 21 August 2008. ^ Uchino, Emiko; Watanabe, Shigeru (1 November 2014). "Self-recognition in pigeons revisited". Journal of the Experimental Analysis of Behavior. 102 (3): 327–334. doi:10.1002/jeab.112. ISSN 1938-3711. PMID 25307108. ^ Povinelli, DJ; Rulf, AB; Landau, KR; Bierschwale, DT (1993). "Self-recognition in chimpanzees (Pan troglodytes): distribution, ontogeny, and patterns of emergence". J Comp Psychol. 107 (4): 347–372. doi:10.1037/0735-7036.107.4.347. PMID 8112048. ^ Hyatt, CW (1998). "Responses of gibbons (Hylobates lar) to their mirror images". Am J Primatol. 45 (3): 307–311. doi:10.1002/(SICI)1098-2345(1998)45:3<307::AID-AJP7>3.0.CO;2-#. PMID 9651653. ^ a b c Cazzolla Gatti, Roberto (2015). "Self-consciousness: beyond the looking-glass and what dogs found there". Ethology Ecology & Evolution. 28 (2): 232–240. doi:10.1080/03949370.2015.1102777. ISSN 0394-9370. ^ Suzuki, Ryuji; Buck, John; Tyack, Peter (January 2005). "The use of Zipf's law in animal communication analysis" (PDF). Animal Behaviour. 69 (1): F9–F17. CiteSeerX 10.1.1.112.5869. doi:10.1016/j.anbehav.2004.08.004. ^ Leiber, Justin (December 1988). "Cartesian Linguistics?". Philosophia. 18 (4): 309–46. doi:10.1007/BF02380646. ^ Haselton, M. G.; Nettle, D. & Andrews, P. W. (2005). "The evolution of cognitive bias.". In D.M. Buss (ed.). The Handbook of Evolutionary Psychology. Hoboken, NJ, US: John Wiley & Sons Inc. pp. 724–746. ^ Mendl, M.; Burman, O.H.P. ; Parker, R.M.A. & Paul, E.S. (2009). "Cognitive bias as an indicator of animal emotion and welfare: emerging evidence and underlying mechanisms". Applied Animal Behaviour Science. 118 (3–4): 161–181. doi:10.1016/j.applanim.2009.02.023. ^ LeDoux, J (2012). "Rethinking the emotional brain". Neuron. 73 (4): 653–676. doi:10.1016/j.neuron.2012.02.004. PMC 3625946. PMID 22365542. ^ LeDoux, JE (2014). "Coming to terms with fear". Proc Natl Acad Sci USA. 111 (8): 2871–2878. Bibcode:2014PNAS..111.2871L. doi:10.1073/pnas.1400335111. PMC 3939902. PMID 24501122. ^ LeDoux, JE (2015). "Feelings: What are they & how does the brain make them?" (PDF). Daedalus. 144 (1): 96–111. doi:10.1162/DAED_a_00319. ^ LeDoux JE (2015) Anxious: Using the Brain to Understand and Treat Fear and Anxiety, Penguin Publishing Group. ISBN 9781101619940. ^ a b Weisberg, DS; Keil, FC; Goodstein, J; Rawson, E; Gray, JR (2008). "The seductive allure of neuroscience explanations". Journal of Cognitive Neuroscience. 20 (3): 470–477. doi:10.1162/jocn.2008.20040. PMC 2778755. PMID 18004955. ^ See here Archived 13 March 2013 at the Wayback Machine for a glossary of related terms. ^ Crick, F.; Koch, C. (1998). "Consciousness and neuroscience". Cereb Cortex. 8 (2): 97–107. doi:10.1093/cercor/8.2.97. PMID 9542889. Full text. ^ Adamantidis A.R., Zhang F., Aravanis A.M., Deisseroth K. and de Lecea L. (2007) "Neural substrates of awakening probed with optogenetic control of hypocretin neurons". Nature. ^ Rose, James D (2002). "The neurobehavioral nature of fishes and the question of awareness and pain" (PDF). Reviews in Fisheries Science. 10 (1): 1–38. CiteSeerX 10.1.1.598.8119. doi:10.1080/20026491051668. Archived from the original (PDF) on 10 October 2012. ^ Anderson, John R. (2004). Cognitive psychology and its implications (6th ed.). Worth Publishers. p. 519. ISBN 978-0-7167-0110-1. ^ Chavajay, Pablo; Barbara Rogoff (1999). "Cultural variation in management of attention by children and their caregivers". Developmental Psychology. 35 (4): 1079–1090. doi:10.1037/0012-1649.35.4.1079. PMID 10442876. ^ Kaiser J, Lutzenberger W (2003). "Induced gamma-band activity and human brain function". Neuroscientist. 9 (6): 475–84. doi:10.1177/1073858403259137. PMID 14678580. ^ a b Metcalfe, J., & Shimamura, A. P. (1994). Metacognition: knowing about knowing. Cambridge, Massachusetts: MIT Press. ^ Couchman, Justin J.; Coutinho, M. V. C.; Beran, M. J.; Smith, J. D. (2010). "Beyond Stimulus Cues and Reinforcement Signals: A New Approach to Animal Metacognition" (PDF). Journal of Comparative Psychology. 124 (4): 356–368. doi:10.1037/a0020129. PMC 2991470. PMID 20836592. Archived from the original (PDF) on 24 March 2012. ^ Schraw, Gregory (1998). "Promoting general metacognitive awareness". Instructional Science. 26 (1/2): 113–125. doi:10.1023/A:1003044231033. ^ Couchman, Justin J.; Coutinho, M. V. C.; Beran, M. J.; Smith, J. D. (2010). "Beyond Stimulus Cues and Reinforcement Signals: A New Approach to Animal Metacognition" (PDF). Journal of Comparative Psychology. 124 (4): 356–368. doi:10.1037/a0020129. PMC 2991470. PMID 20836592. ^ Foote, AL; Crystal, JD (March 2007). "Metacognition in the rat". Curr. Biol. 17 (6): 551–5. doi:10.1016/j.cub.2007.01.061. PMC 1861845. PMID 17346969. ^ Smith, J. David; Beran, M. J.; Couchman, J. J.; Coutinho, M. V. C. (2008). "The Comparative Study of Metacognition: Sharper Paradigms, Safer Inferences" (PDF). Psychonomic Bulletin & Review. 15 (4): 679–691. doi:10.3758/pbr.15.4.679. ^ Jozefowiez, J.; Staddon, J. E. R.; Cerutti, D. T. (2009). "Metacognition in animals: how do we know that they know?" (PDF). Comparative Cognition & Behavior Reviews. 4: 29–39. doi:10.3819/ccbr.2009.40003. ^ a b c Keysers, Christian (23 June 2011). The Empathic Brain. Kindle. ^ Christian Keysers; Valeria Gazzola (2006). Anders; Ende; Unghofer; Kissler; Wildgruber (eds.). Towards a unifying neural theory of social cognition (PDF). Progress in Brain Research. 156. pp. 379–401. CiteSeerX 10.1.1.132.4591. doi:10.1016/S0079-6123(06)56021-2. ISBN 9780444521828. ISSN 0079-6123. PMID 17015092. Archived from the original (PDF) on 30 June 2007. ^ Blakeslee, Sandra (10 January 2006). "Cells That Read Minds". The New York Times. Science. ^ Ramachandran, V.S. (1 January 2009). "Self Awareness: The Last Frontier, Edge Foundation web essay". Retrieved 26 July 2011. ^ * Nichols, S.; Grantham, T. (2000). "Adaptive Complexity and Phenomenal Consciousness". Philosophy of Science. 67 (4): 648–670. CiteSeerX 10.1.1.515.9722. doi:10.1086/392859. JSTOR 188711. ^ Peter Århem; B. I. B. Lindahl; Paul R. Manger & Ann B. Butler (2008). "On the origin of consciousness—some amniote scenarios". In Hans Liljenström & Peter Århem (eds.). Consciousness Transitions: Phylogenetic, Ontogenetic, and Physiological Aspects. Elsevier. ISBN 978-0-444-52977-0. ^ Eccles, J. C. (1992). "Evolution of consciousness". Proceedings of the National Academy of Sciences of the United States of America. 89 (16): 7320–7324. Bibcode:1992PNAS...89.7320E. doi:10.1073/pnas.89.16.7320. JSTOR 2360081. PMC 49701. PMID 1502142. ^ Peters, Frederic "Consciousness as Recursive, Spatiotemporal Self-Location"
^ a b Edelman, G. (2004). Wider than the sky: The phenomenal gift of consciousness: Yale Univ Pr. ^ Edelman, G. M. (1992). Bright Air, Brilliant Fire: On the Matter of the Mind. Basic Books, New York. ^ a b c Merker, B (2007). "Consciousness without a cerebral cortex: A challenge for neuroscience and medicine". Behavioral and Brain Sciences. 30 (1): 63–81. doi:10.1017/s0140525x07000891. PMID 17475053. ^ Edelman, G. M. (2004). Wider than the sky: a revolutionary view of consciousness. Penguin Press Science, London, UK. ^ Edelman, G. M. (200). Second Nature:Brain Science and Human Knowledge. Yale University Press, New Haven, CT.
^ Voss, Ursula (2010). "Changes in EEG pre and post awakening". Science of Awakening. International Review of Neurobiology. 93. pp. 23–56. doi:10.1016/S0074-7742(10)93002-X. ISBN 9780123813244. PMID 20970000. ^ Kuiken, Don (2010). "Primary and secondary consciousness during dreaming". International Journal of Dream Research. 3 (1): 21–25. ^ Low, Philip et al. (2012) The Cambridge Declaration on Consciousness Publicly proclaimed in Cambridge, UK, on July 7, 2012, at the Francis Crick Memorial Conference on Consciousness in Human and non-Human Animals. ^ "Consciousness in Human and non-Human Animals" Francis Crick Memorial Conference, 7 July 2012, Cambridge, UK. ^ Crew, Bec. "Dogs Show Signs of Self-Consciousness in New 'Sniff Test'". ScienceAlert. ^ "Dogs (and probably many other animals) have a conscience too!". en.tsu.ru. Retrieved 5 December 2016. ^ "Dogs have self-awareness. It was confirmed by STSR tests". en.tsu.ru. Tomsk State University. Retrieved 8 July 2018. ^ PEPPERBERG, Irene M.; Pepperberg, Irene M. (30 June 2009). The Alex Studies: cognitive and communicative abilities of grey parrots. Harvard University Press. ISBN 9780674041998. ^ Maria Armental (8 May 2008). "Jane Goodall attends opening of bird sanctuary". www.projo.com. Archived from the original on 29 June 2011. ^ Gill, Victoria. "Parrots choose to work together". BBC Nature News. Archived from the original on 20 May 2011. Retrieved 19 May 2011. ^ a b What is this octopus thinking? Archived 7 April 2012 at the Wayback Machine. By Garry Hamilton. ^ a b NFW.org?, Is the octopus really the invertebrate intellect of the sea, by Doug Stewart. In: National Wildlife. Feb/Mar 1997, vol.35 no.2. ^ Yekutieli, Yoram; Sagiv-Zohar, Roni; Aharonov, Ranit; Enge, Yaakov; Hochner, Binyamin; Flash, Tamar (2005). "Dynamic Model of the Octopus Arm. I. Biomechanics of the Octopus Reaching Movement". J. Neurophysiol. 94 (2): 1443–1458. doi:10.1152/jn.00684.2004. PMID 15829594. ^ Zullo, L; Sumbre, G; Agnisola, C; Flash, T; Hochner, B (2009). "Nonsomatotopic organization of the higher motor centers in octopus". Curr. Biol. 19 (19): 1632–6. doi:10.1016/j.cub.2009.07.067. PMID 19765993. ^ "Octopus snatches coconut and runs". BBC News. 14 December 2009. Retrieved 20 May 2010. Bekoff, Marc (2013) Why Dogs Hump and Bees Get Depressed New World Library. ISBN 978-1-60868-220-1. Bekoff, Marc; Jane Goodall (2007). The Emotional Lives of Animals. ISBN 978-1-57731-502-5. Cartmill, M (2000). "Animal consciousness: some philosophical, methodological, and evolutionary problems". American Zoologist. 40 (6): 835–846. CiteSeerX 10.1.1.576.9419. doi:10.1668/0003-1569(2000)040[0835:acspma]2.0.co;2. Dawkins, Marian Stamp (2012) Why animals matter: Animal consciousness, animal welfare, and human well-being Oxford University Press. ISBN 978-0-19-958782-7. Dawkins, Marian Stamp (1998) Through our eyes only? The search for animal consciousness Oxford University Press. ISBN 978-0-19-850320-0. Huxley, TH (1874). "On the hypothesis that animals are automata, and its history" (PDF). Nature. 10 (253): 362–366. Bibcode:1874Natur..10..362.. doi:10.1038/010362a0. Lurz, Robert "Animal Minds" Internet Encyclopedia of Philosophy. Schönfeld, Martin (2006). "Animal Consciousness: Paradigm Change in the Life Sciences". MIT Press Journals. 14 (3): 354–381. doi:10.1162/posc.2006.14.3.354. Smith, FA (1991). "A Question of Pain in Invertebrates". ILAR Journal. 33 (1–2): 25–31. doi:10.1093/ilar.33.1-2.25. Sømme, Lauritz S. (2005) "Sentience and pain in invertebrates"[permanent dead link] Report to Norwegian Scientific Committee for Food Safety. Consciousness in a Cockroach Discover Magazine, 10 January 2007. Bekoff, Marc 2012 Animals are conscious and should be treated as such New Scientist, 24 September 2012. Koch, Christof (2012) Consciousness Is Everywhere Huffington Post, 15 August 2012. Octopuses Gain Consciousness (According to Scientists' Declaration) Scientific American, 21 August 2012. The absence of a neocortex does not appear to preclude an organism from experiencing affective states 4 September 2012. Animals are as with it as humans, scientists say Discovery, 24 August 2012. How do octopuses think? ABC interview with Peter Godfrey-Smith. Do animals demonstrate consciousness? HowStuffWorks. Accessed 30 January 2012. I, cockroach Aeon Magazine, 19 November 2013. Elephants mourn. Dogs love. Why do we deny the feelings of other species? The Guardian. October 11, 2017.